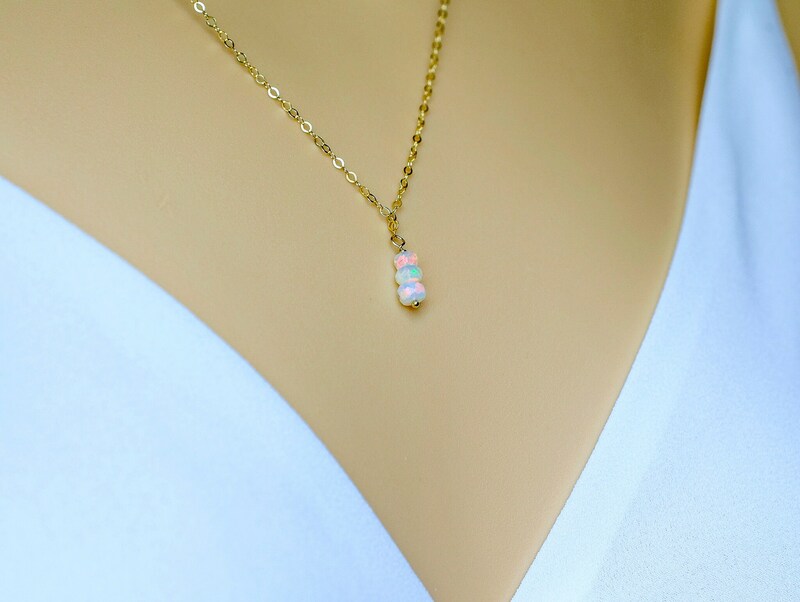 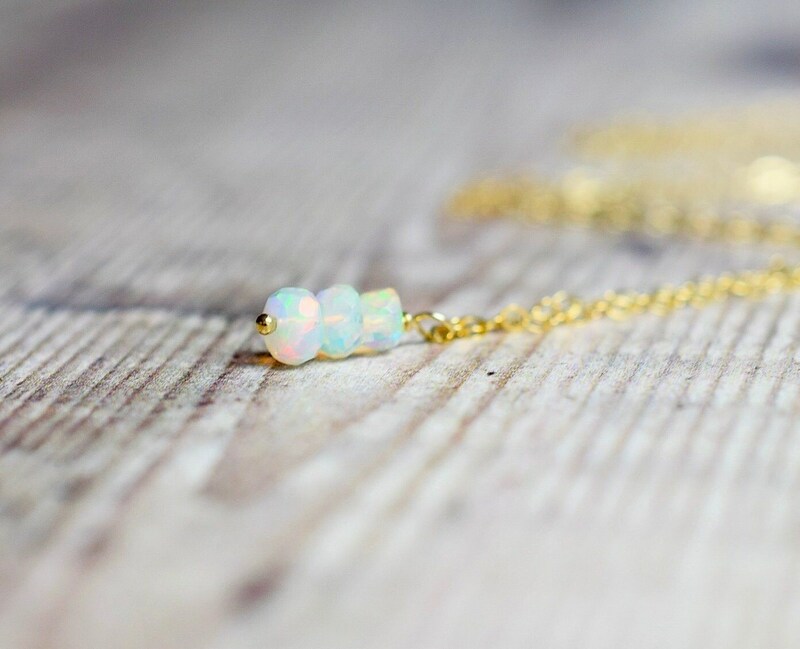 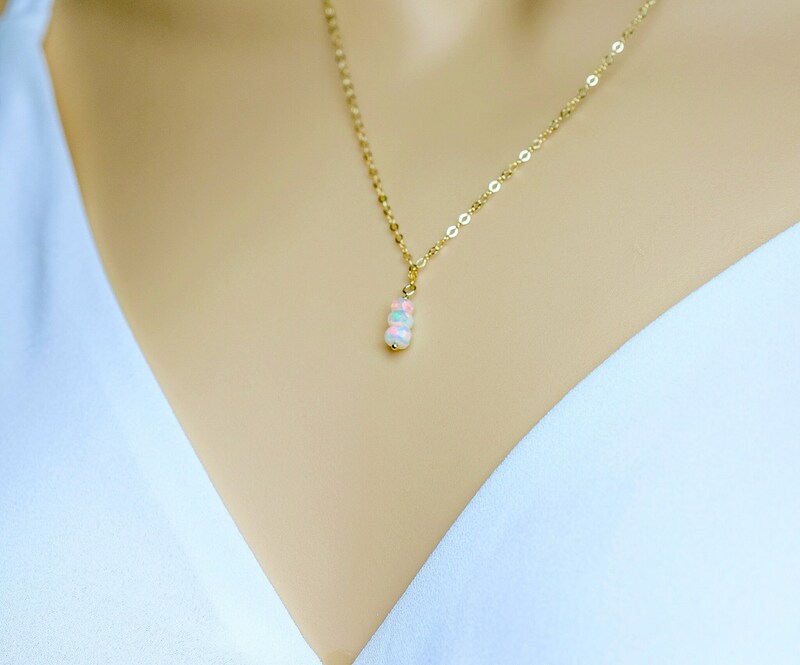 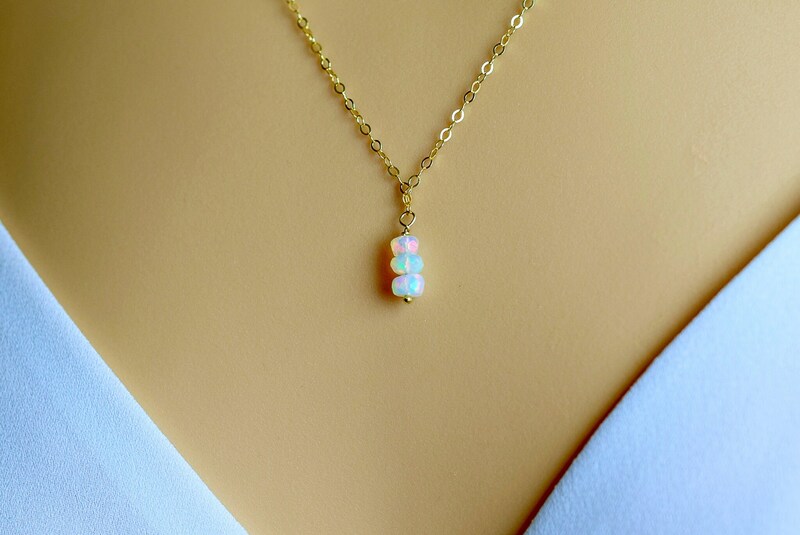 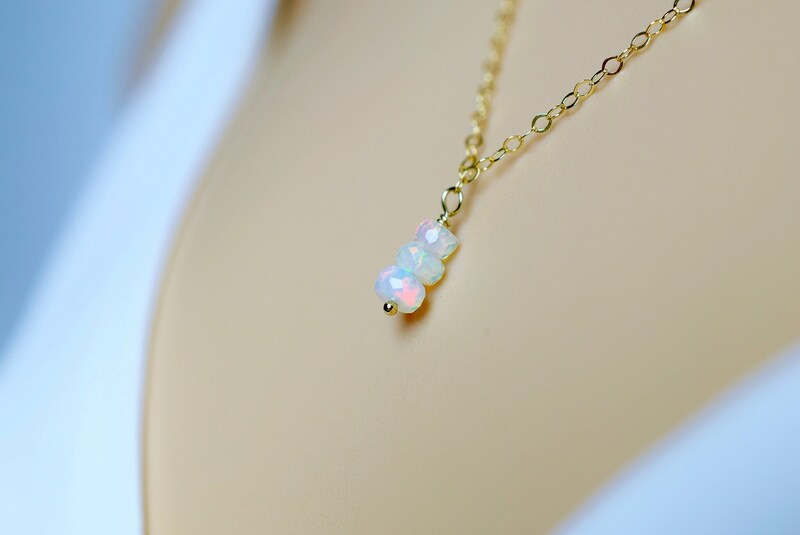 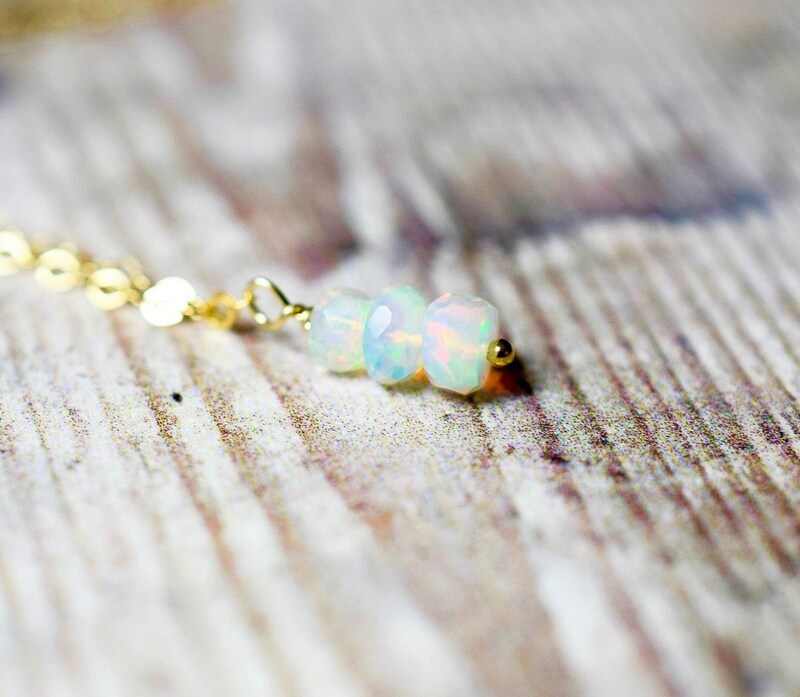 This Opal necklace is elegant and dainty and would compliment a relaxed boho chic style. 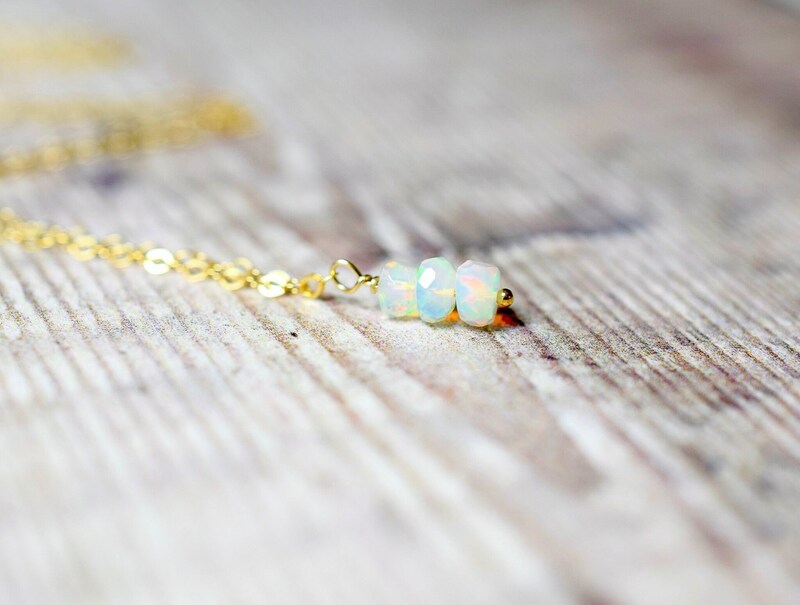 The stunning Ethiopian Opal beads have amazing fire and flashes of colour! 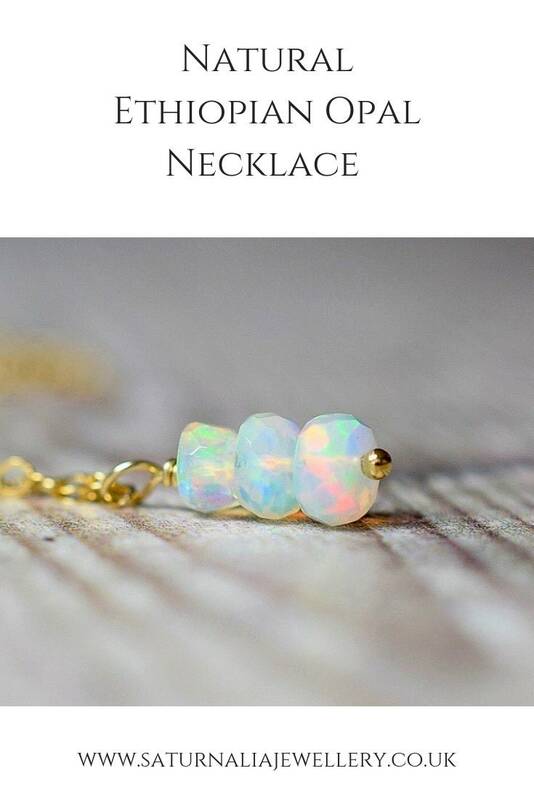 The Opal drop pendant is designed with three, faceted, Opal gemstones that are wrapped with 14k gold filled wire and hang from a fine, 14k gold filled flat cable chain. 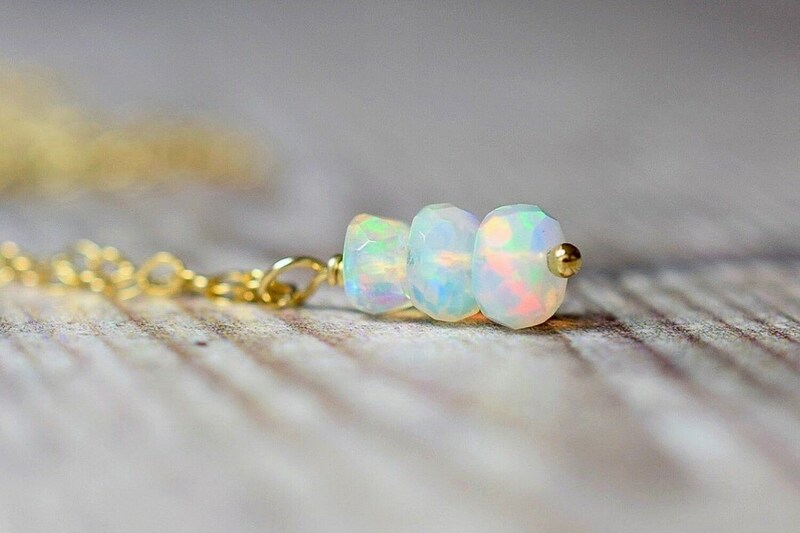 The Opals are incredibly beautiful; with lots of colourful fire and flashes in all the colours of the Rainbow! 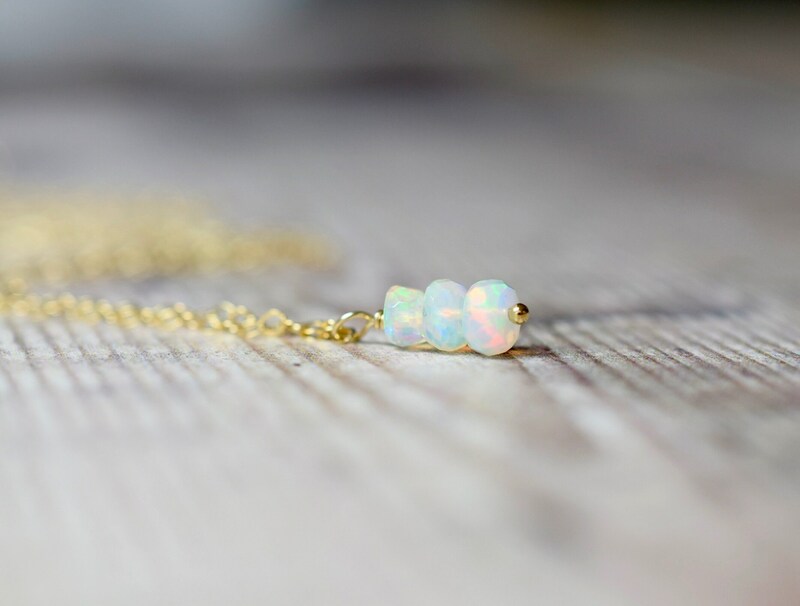 * The Opal beads measure 3.5-4mm each approx.